A few weeks ago, we received a big selection of LISTERINE floss, rinses, and breath strips to try out and we've really been enjoying the results. 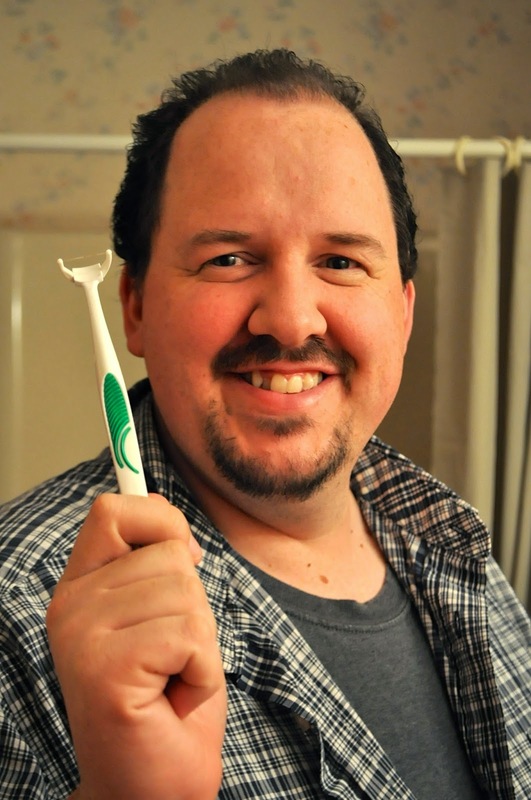 Oral care and hygeine are really important to my husband and I---especially when it comes to our kids. With a big family like ours, it's important to establish good routines for the kids when caring for their teeth and gums, as well as our own. With a few great plaque and cavity fighting products, along with regular dental checkups, we can have a healthy oral care routine and feel good about the outcome. 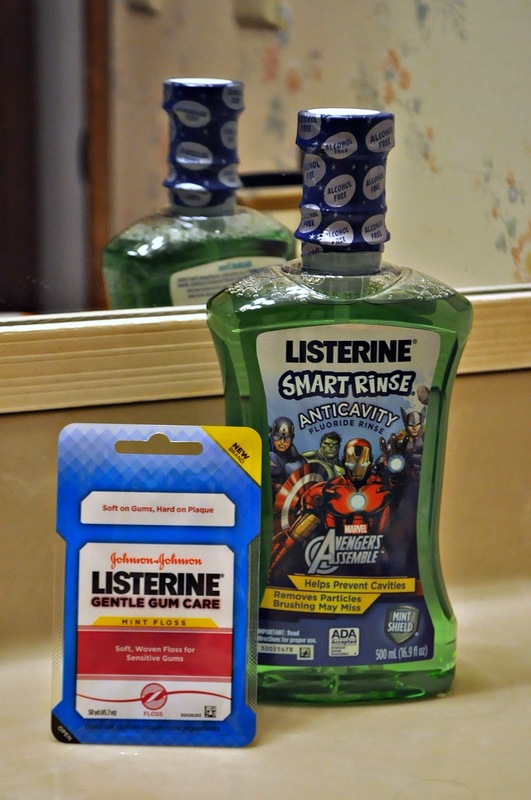 The Avengers themed anticavity flouride rinse is great for kids as it helps prevent cavities and removes particles that they might miss when brushing. Even though I can see they've really been trying to be more thorough in their brushing, it's nice to know they're getting in this extra backup afterward. As I said before, most of the kids really like to floss and the soft floss in the Gentle Gum Care line is just right for sensitive gums. A few of the kids have established a good habit of nightly flossing and have the winning smiles to prove it! Jamie has been using this Healthy White mouthrinse. 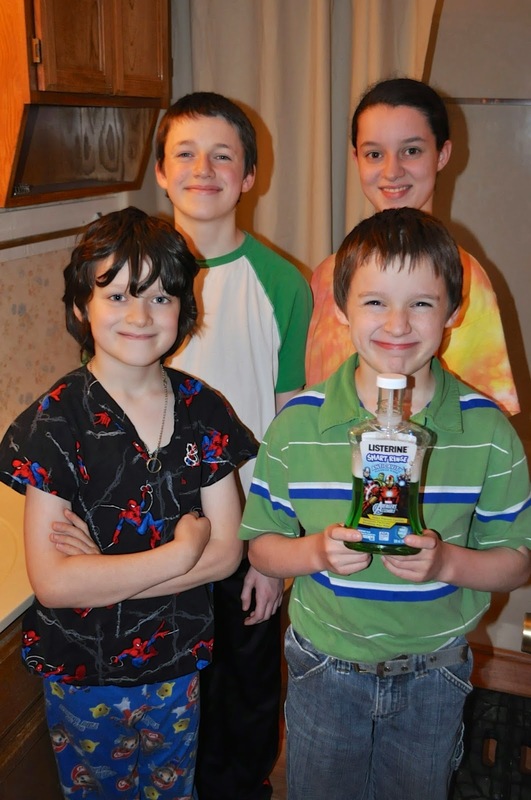 It removes and prevents stains, is gentle on tooth enamel, and helps kill germs. He is starting to see a whitening difference for sure, and appreciates that it's not a strong or harsh formula. He's also asked for more of these breath strips for his pocket at work. As for the handled flosser, either I didn't get the hang of it or it was just too much of an impact on my sensitive gums, but it wasn't working out for me. However, Jamie likes that it gets back into hard to reach places and will probably want some replacement pieces for it soon, as well. Overall, I think we're pretty satisfied with our LISTERINE experience. What are your favorite healthy habits and routines? 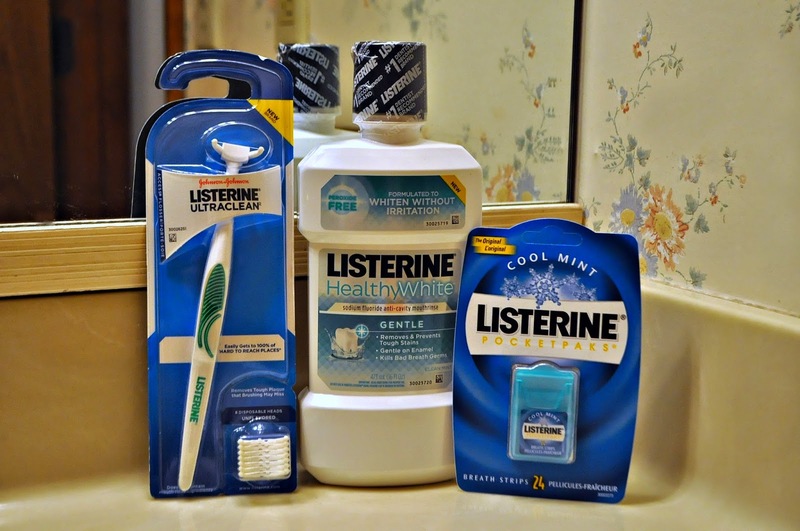 Check out this list of locations to purchase LISTERINE products, as well as these healthy habits videos on YouTube. The avengers theme looks like a great way to get the kids wanting to rinse!